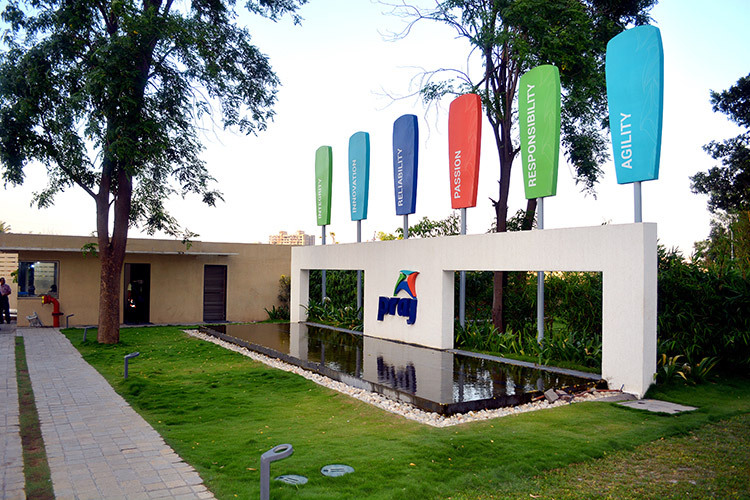 Praj Industry is India’s most successful biofuels Company, taking biobased technologies from India to the World. 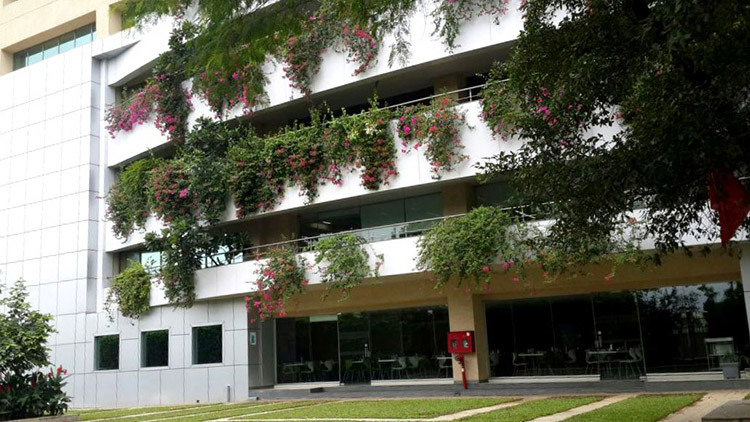 Praj offers innovative solutions for beverage alcohol and bioethanol plant, brewery, water & wastewater treatment plant, critical process equipment and systems and bioproducts. 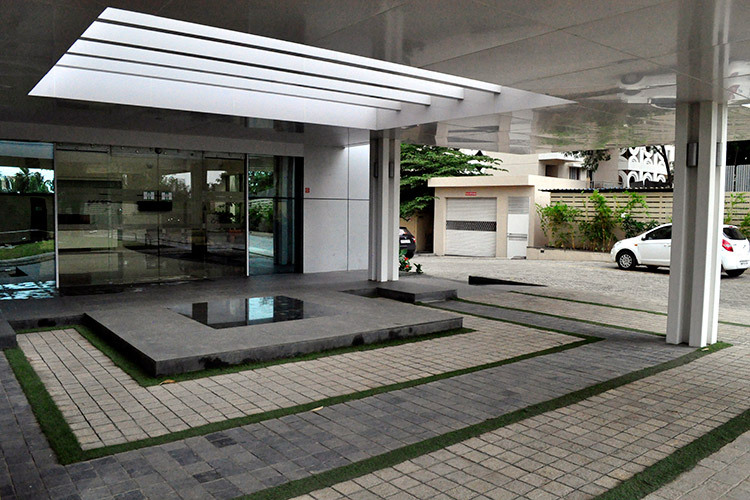 Praj came up with a new corporate office named Praj Towers at Hinjewadi, Pune. 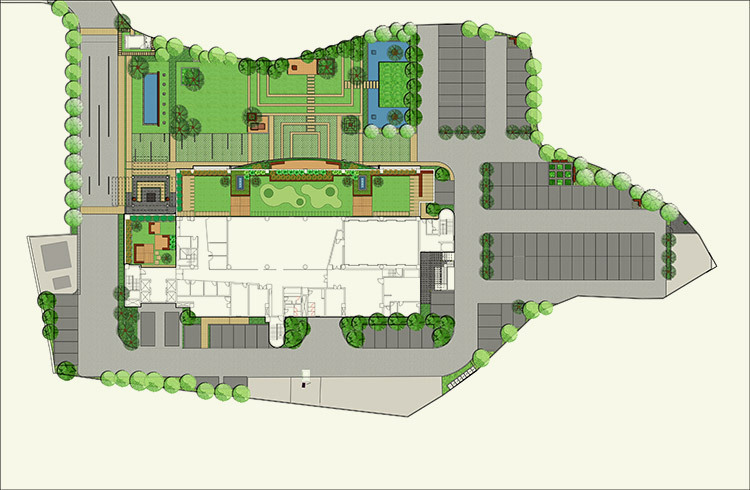 The idea was to create an inclusive and integrated landscape which would bring people closer to nature, closer to each other and closer to life. To achieve this connections with the outside were carved out and designed at all levels. 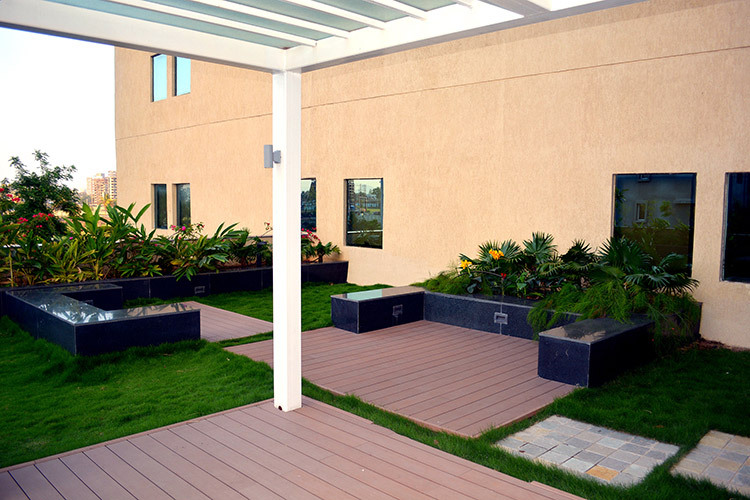 Terrace at all floors of varying sizes are treated with abundant green areas with seating and pergolas. 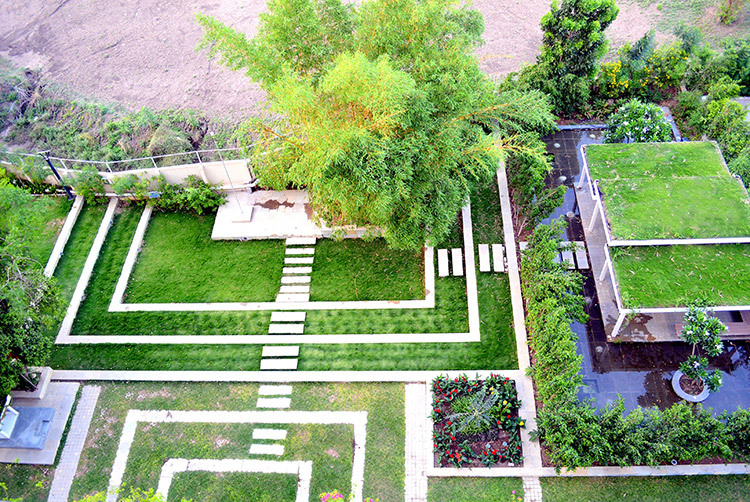 The landscape is designed such that it merges effortlessly with the building forming a seamless transition. 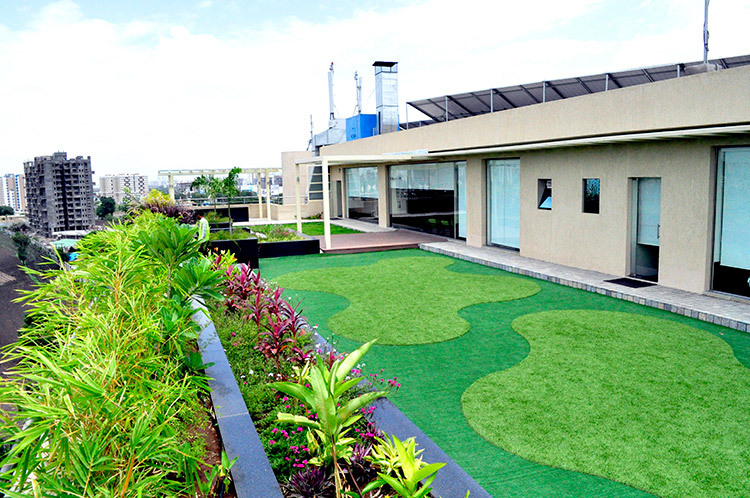 The road is made in grass pavers taking the green right upto the edge of the building. 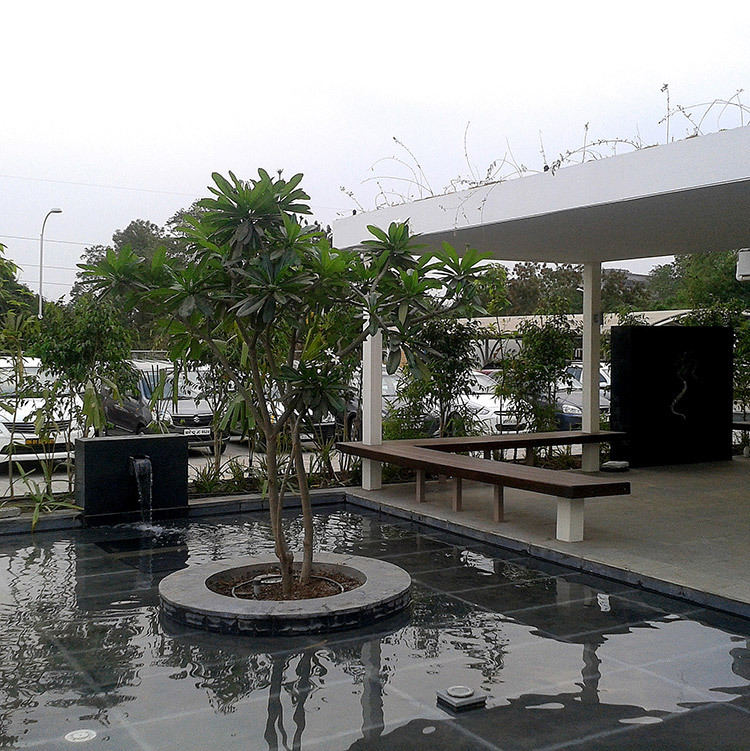 The entry area is spacious with a silent reflecting water body and a feature wall which reflects an existing tree and the company logo. The scale gets more intimate as one approaches the main entry. 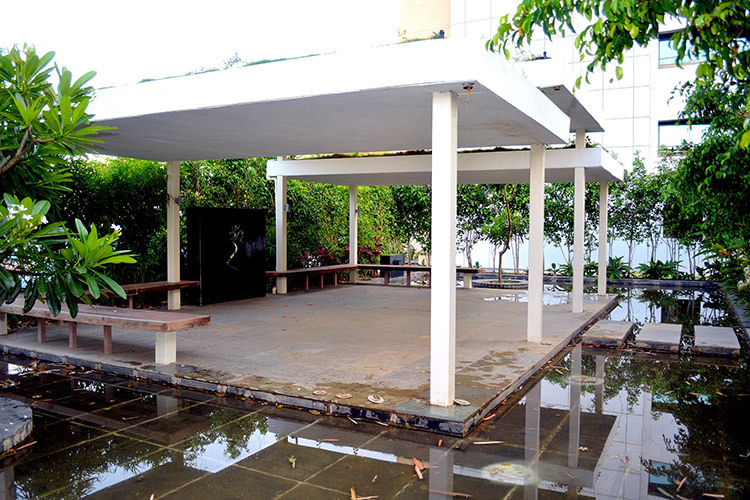 The central area of the building opens onto an amphitheater used for all outdoor public gatherings. This is flanked by a small ‘Datta’ Mandir on one side. On the right side of the amphitheater is a meditation area. When one meditates it is like an inner enclosure, like the darkest sanctum of an Indian temple where one seeks inner enlightenment from darkness. The meditation pavilion is an inward looking space set within an enclosure of trees, a still waterbody and with a green roof. A small feature wallwith an ‘Aum’ is strategically placed. 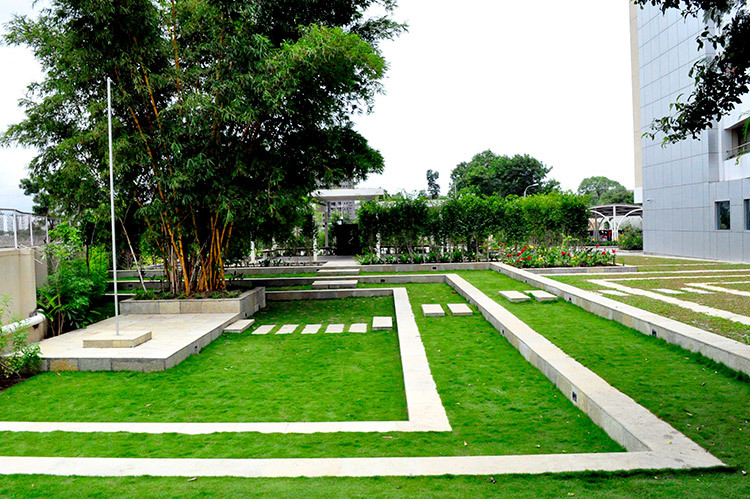 The existing Millingtonia trees, Ficus Glomerata and the Bamboo clumps form the main elements in the planting.The design is done around these trees such that they form an integral part of the design.